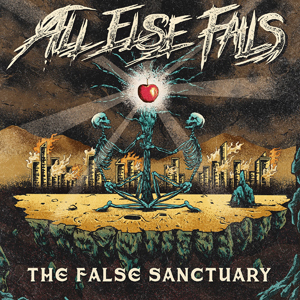 Canadian metallers ALL ELSE FAILS are ready to release their new album The False Sanctuary, coming 2 years after the full length The Forever Lie. Keeping with their tradition of crushingly heavy and progressive metal they have composed 2 new songs for this album and included 5 B-sides from The Forever Lie, which were never released digitally. To accentuate this album they have also released a music video for the first single "A Dream of Names". Technical guitar parts are juxtaposition against melodic vocals in the band’s 10th music video, a moody visual for the thought provoking lyrics that address the current state of the world.